Description Unusually warm water temperatures continue in central and south Puget Sound while Willapa Bay returns to expected water temperatures as a result of stronger coastal upwelling. Extensive mats of organic debris develop in many places, particularly in Central Sound overlapping with a fading Noctiluca bloom. 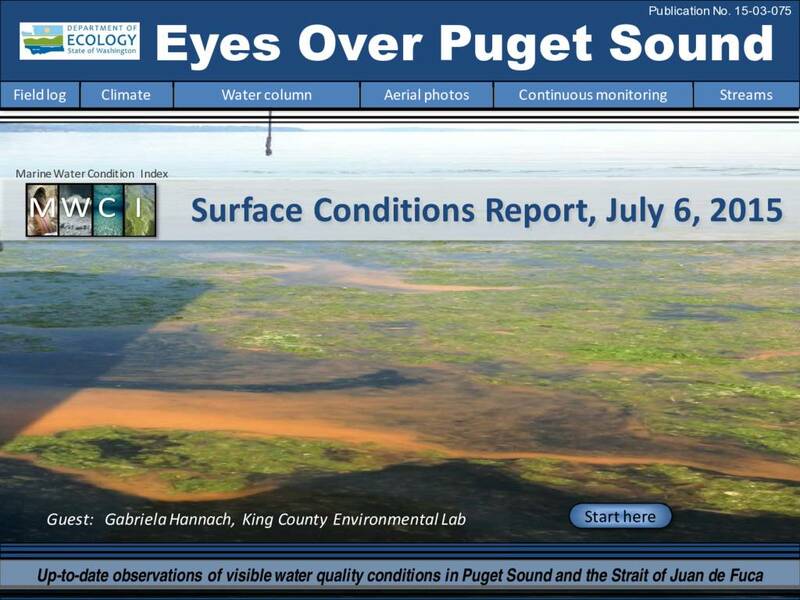 King County confirms Noctiluca and shares plankton species information. Red-brown and brown blooms are going strong in southern inlets and around the San Juan Islands. Our inspiring WCC Intern gets on boats, into the air, and to the lab.